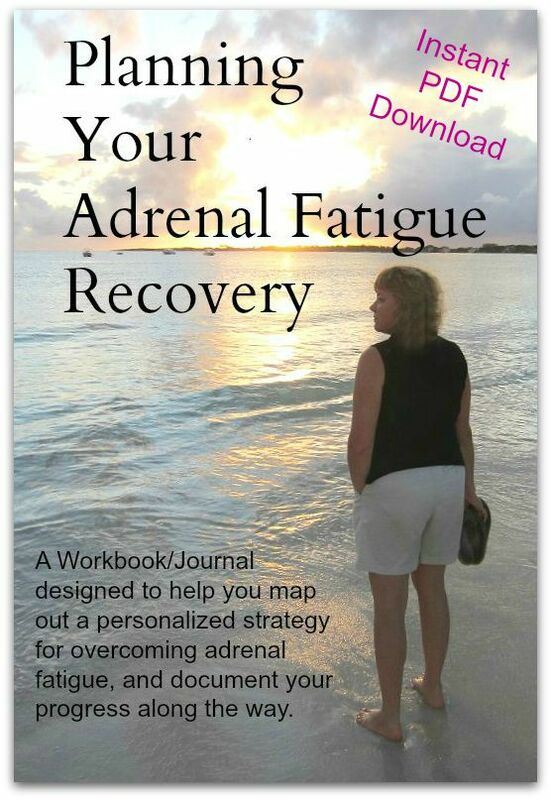 Back when I was first dealing with adrenal fatigue, eating was one of the hardest things for me to get a handle on. Even on good days, I hated to cook, I hated to grocery shop, and I hated having to think up what to make. When I was at my lowest point, I could barely get myself out of bed in the mornings, and the rest of the day wasn't much better. I couldn't cope with making any decisions at all. Lunches and dinners would completely overwhelm me as the only things I could think of were instant-type foods that I knew were not good for me, but I didn't have the energy to find and try new recipes or think up things that would be more healthy. A meal kit delivery service like SunBasket would have been a complete life-saver for me. Read on for the detailed review of my first week of Sun Basket Meal Delivery Service. I'm sure you've noticed this past year that meal delivery kits are suddenly popping up all over the internet. Blue Apron, Home Chef, Plated, and what feels like a million more…and if you are like me, you probably assume that they are prohibitively expensive. Sun basket had been showing up in my facebook feed repeatedly for a couple weeks, and the pictures were quite tempting, so finally I decided to take a look at what they were all about. I went into it assuming that it would be prohibitively expensive, portion sizes would be too small to be a full meal, and that I wouldn't find very many recipes that I was interested in eating. Spoiler alert: none of those things turned out to be really true. However, Sun Basket does seem to be on the upper end of the price range for meal delivery services like this. 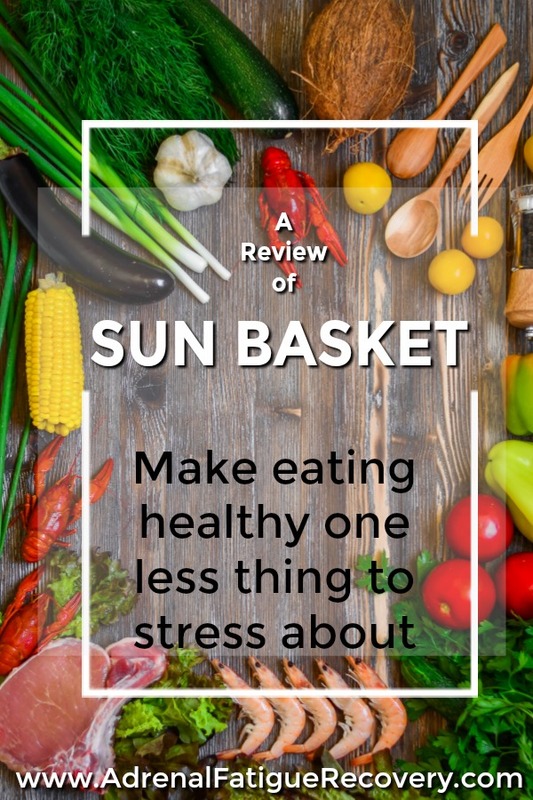 Sun Basket gives you 18 recipes to choose from every week, and I've gotta tell you, I was surprised to discover that I could hardly narrow it down to the 3 I wanted to receive! They have some really delicious looking recipes, a variety of cuisines, and complexity of flavors that, it turns out, is spot-on. I looked at a couple other big names in the meal kit business, but couldn't get excited about many of their offerings. So I decided to start a trial with Sun Basket. Every week they offer options for paleo, gluten-free, dairy free, soy free, lean and clean, and vegan, and note on every recipe which of those priorities are targeted. Many ingredients are organic, and meats are humanely and sustainably raised. Last week was my first delivery, and all 3 meals were winners in my book. I had laryngitis and sinus problems all week, so the Avgolemono Chicken Soup with Cauliflower Rice was perfect for our first meal. I love lemon in my chicken soup, and this did not disappoint. I was a little skeptical that portion sizes would be too skimpy for us to be satisfied, but we both had big bowls, and there was enough left over for me to have another full bowl for lunch another day. Next we tried the Pork Chops with Pear Mostarda and Wilted Kale. YUM. The pork chops were moist and delicious. I would have liked the mustard sauce to be a bit zippier, but maybe I went too easy on the Urfa Chile Flakes because I didn't know what to expect with them. It smelled FANTASTIC. Dan was still hungry after, so next time I would throw in a couple baked potatoes to round this meal out. The third dinner was a total stretch for me: Kadai Paneer. I have never really eaten Indian cuisine, much less cooked it, but once I discovered that Paneer is CHEESE, and so basically this was a dinner of cubes of FRIED CHEESE in a sauce made of diced tomatoes, mild green chiles, poblano, shallots, and a lemongrass paste made of lemongrass, ginger, turmeric, and garlic served over a bed of rice with naan bread on the side…well, they had me at fried cheese… ;-) Again, portion sizes were enough that we each had a good-sized bowl. Not hungry afterwards. It was really good. I have to confess, When I first opened the meal packages, I thought "there is hardly anything here! How am I supposed to make dinner out of NOTHING?!?" Any other time I make dinner, the kitchen looks like a bomb went off, and here they send me a little lunch bag full of a pinch of this and a dash of that and one or two shallots and I am supposed to make a filling dinner??? But somehow, the loaves and fishes multiplied to make satisfying dinners all 3 times. Of course, I don't usually cook meals that only serve two people one time, because most recipes are written to serve 4-6, and use standard sizes of, say, canned beans. So I am used to making bigger amounts and having leftovers. But I can definitely see how this can be PERFECT for a lot of people: singles, empty nest couples, people who want to learn how to prepare and eat healthier meals or better control portion sizes, and I am even thinking this would be great for my grandpa's house, where he has caregivers that come every day to stay with him, and they have to shop and make dinners…this would be so much easier! If you do want more, they also offer a family-size option, which gives you enough for 4 plates per meal. Pricewise, I think it works out to around $12-$13 per plate. Six plates per week. Two each of 3 recipes. Similar to going out to dinner, but you don't have to tip on top of that. I have heard other reviewers say that the break-even point for comparing meal service to doing your own grocery shopping is $10/plate, and some of the other meal services are closer to that price point. For my husband and I, this is probably slightly more expensive than planning and eating at home, and comparable to going out to eat. But we are definitely eating better quality meals and spending less overall than if we went to the store ourselves, and with only 25-30 minutes of prep time, it's faster than eating out. So if the planning and shopping part of eating healthy is overwhelming you right now, then meal service is definitely worth the small price differential. The intro offer* is like getting your first week half off, which is absolutely worth it, even if you don't continue. But I can justify anything, so my thought was, that's the same as $10 off over 4 weeks, which is still a good deal, and gives a fair trial of the system. And you can cancel any time, so there really isn't much risk for trying. You can also easily skip a week whenever you need to. Even if you only do it for a couple of weeks, that may be enough of the break you need to get back on top of things again. Remember, it doesn't have to be a lifetime commitment, but for a season of recovery it may be just the help you need. *the current intro offer is $40 off your first delivery, and is what I am basing my review on. This, of course, could change at any time. Packaging was good, everything arrived cold, but then this was delivered in late November, so I can't speak to how well this will work in the summertime. Everything is recyclable, even their ice pack. I have curbside recycling with a huge dumpcart for it, so dealing with the box and plastic jars is not a problem for me, though I would like to find a use for all those nice plastic jars so I don't have to toss them at all. Oh, and I forgot to mention, there is one recipe book for each week, so even though you only get 3 meal kits, you get the recipes for all the meals, even the ones you didn't order! Some of the recipes use their proprietary pastes/sauces (like that lemongrass paste), but you can order different ones as add-ons each week if you want, and make some of the other recipes yourself. This week I am expecting to receive Korean Steak Japchae with Glass Noodles and Stir-Fried Vegetables, Barbacoa Chicken Sliders with Cabbage Slaw and Apple Feta Salad, and Chilaquiles Verdes with Soft-Scrambled Eggs, Avocado, and Queso Fresco. I have never been so excited about cooking dinner. And that right there is worth the price of admission. We have now finished our second week of meals, and I am happy to report that I am still quite smitten with Sun Basket's meal kit service. The Barbacoa Chicken Sliders with Cabbage Slaw and Apple Feta Salad was probably our least favorite out of the 3 meals, but I made a couple of changes that we felt were improvements, like putting our own poppyseed dressing on the Apple Feta Salad instead of the recommended fresh mint and oil. I was also not too crazy about the slaw dressing. Still, not a bad meal, those were just personal preference things. Again, good portions. The Chilaquiles Verdes was delicious. While portions were good, we liked this so much we both would have eaten twice as much. No specialty sauces with this one, so we could easily make this ourselves and scale the recipe up as much as we want. The Korean Steak Japchae with Glass Noodles and Stir-Fried Vegetables was tasty as well. This recipe made the largest quantity of anything we have had so far, we both had generous servings and I put a full third serving into the fridge for tomorrow's lunch. Looking forward to tomorrow's delivery of Chicken Coconut Curry with Spinach and Cauliflower "Rice", Korean Beef Bulgogi with Cremini Mushrooms, Carrots and Pear Kimchi, and Pork Chops with Mustard-Apricot Sauce and Apple-Celery Salad. Don't be daunted by the cost of this or any of the other meal kit delivery services. 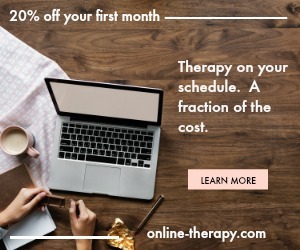 There is always a trade-off between time, energy, and dollars, and sometimes it is worth a couple extra dollars to save time and energy, especially when you are dealing with adrenal fatigue. This is one of the places where that trade-off can gain you great benefits. If you will reduce your stress by eliminating some planning and save time and energy by reducing your grocery shopping, and eat healthier at the same time, it is worth the small price differential to give a meal kit service a try. My original plan was to try Sun Basket for a couple of weeks, then move on and try a couple of others. Every meal service has an introductory offer, and most will allow you to cancel any time. There are so many different companies out there, that it wouldn't be impossible to hop from one to another and never have to pay full price, but for me, I have scheduled all my meals from Sun Basket for the next 4 weeks out, and don't want to even skip a week to try another service. The food is THAT GOOD. Your may find another service that is more to your liking, but what you should take away from this is that a meal kit delivery service is a great, affordable way to eliminate much of the stress of mealtimes while at the same time improving the quality of your meals, which is so important when you are trying to recover from adrenal fatigue. Do yourself a favor and start investigating a few companies until you find one that looks delicious. Sign up for a trial, and see if this concept works for you.